After the SharePoint Module has been installed and a SharePoint list has been configured, SharePoint step features can be found in Decisions and used in a flow as a step. These steps can only be viewed after SharePoint is setup and configured in Decisions. 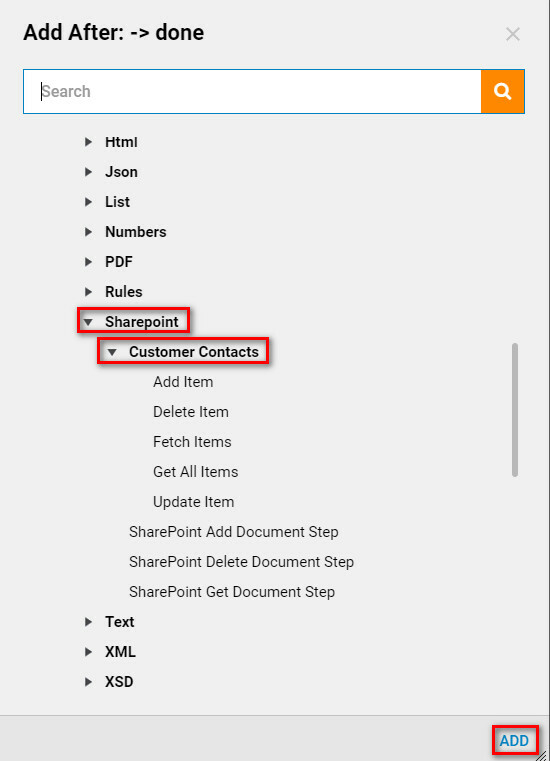 Start in the Flow designer, In the Steps Tab locate Data>SharePoint and open up the SharePoint Entity to view the SharePoint Steps available. Select the SharePoint Get All Step and add it to the Flow designer. 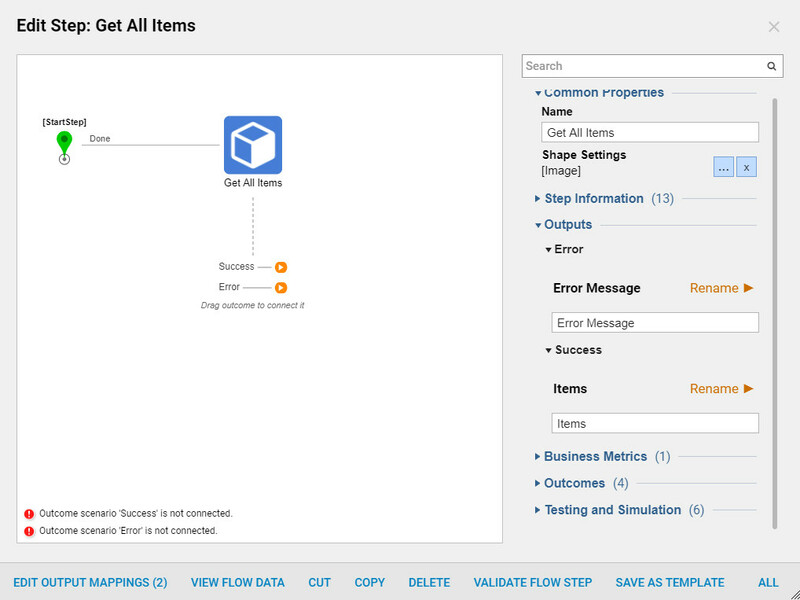 Navigate to the top of the Flow designer and select Debug. 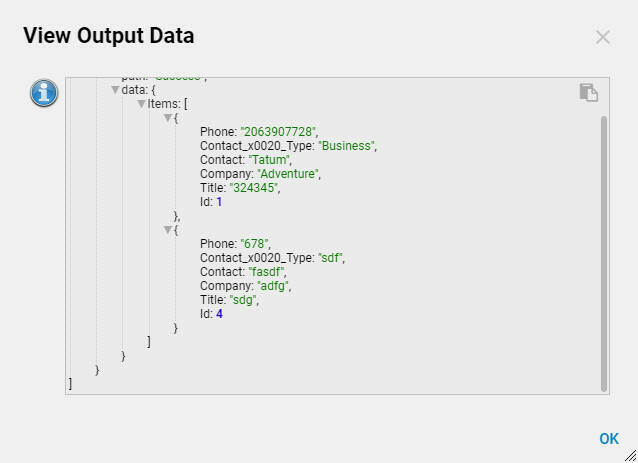 Debug the Flow and view the Output data to view the all items. 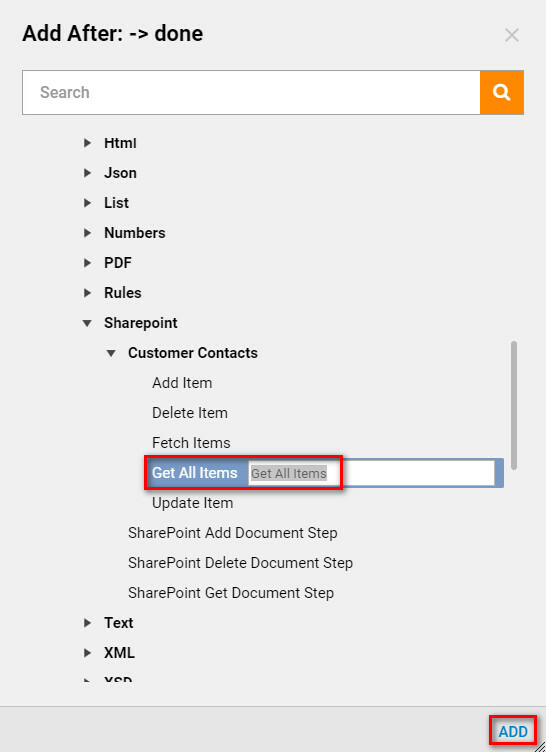 Right click on the Get All Step to view the SharePoint List items in the Output.